It’s that time of year: school has started, fall sports are in full swing, and after-school activities fill the calendar. With such a flurry of activity, family devotions can easily fall by the wayside. 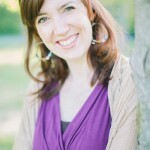 Or perhaps family devotions has been something you’ve wanted to do, but haven’t known how to implement. 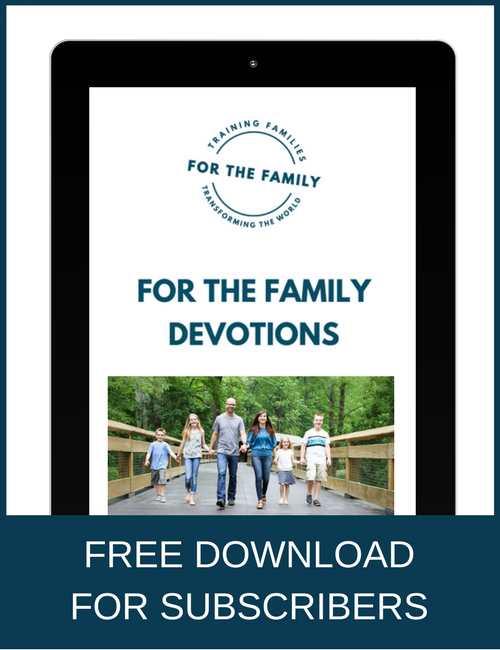 For the Family has already given us practical encouragement on how to start family devotions. But sometimes, we as parents need some practical resources that allow the redemptive story of the Bible to capture the hearts of our children. And some of these tools can even be enjoyed on the go in the midst of a busy school-time schedule. The Big Picture Story Bible by David R. Helm was one of the first Bible storybooks we read our children. With engaging illustrations the simple text is perfect for the youngest and squirmiest of children. Although short, the text is still quite deep, as it captures the overarching story of redemption that runs through the whole Bible. In our house, The Jesus Storybook Bible by Sally Lloyd-Jones is lovingly battered with use. There aren’t any “be good and moral so God will love you” takeaways, like so many Bible retellings for children so tragically relate. The book’s tagline “every story whispers his name” encapsulates the goal of this book. Each story points to Jesus and his “Never Stopping, Never Giving Up, Unbreaking, Always and Forever Love.” The illustrations are detailed and a little whimsical. One of my favorite aspects of the collector’s edition is the audiobook version, which features actor David Suchet’s fabulous vocal talent, which means my kids have often fallen to sleep listening to these stories again and again. As I already mentioned, audiobooks are a great way to experience God’s Word as a family. And they don’t just come in storybook form, but the entire Bible can also be downloaded to listen to. At the end of a long day (or even in the car!) family devotions can be as simple as the push of the play button on the nearest iPad. Faith Comes by Hearing is a wonderful resource that allows several free downloads of audiobook Bibles, with many different versions from which to choose. 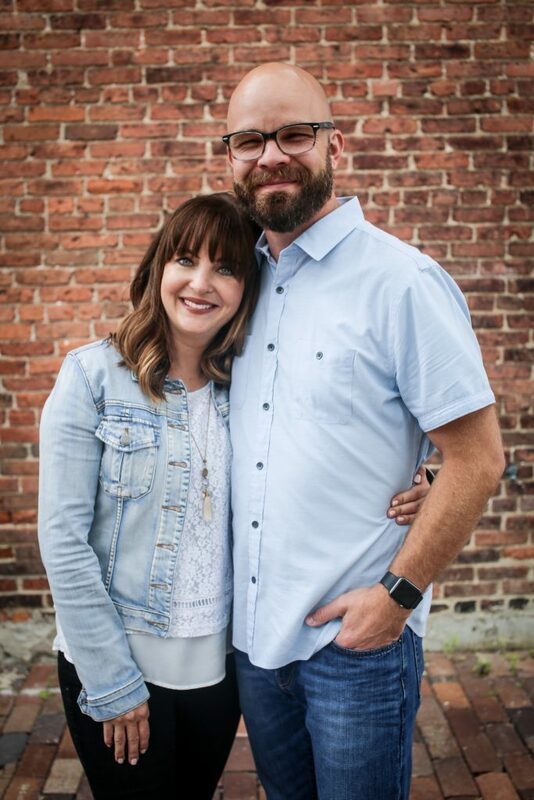 As the new school year kicks into gear, the schedule may be complicated, but family devotions doesn’t have to be. 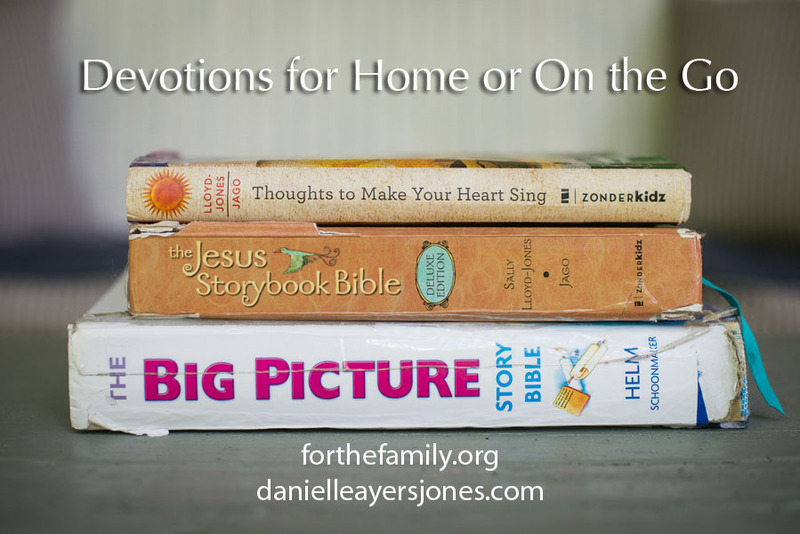 What devotion resources are a favorite in your family? I LOVE the first three you mentioned! We’ve used them all in our house. A couple more we like are Old Story New my Marty Machowski and the books by Sally Michaels like God’s Names and God’s Promise. Thanks Paula, I’ve never heard of the Sally Michaels’ titles. Glad to get more resources!